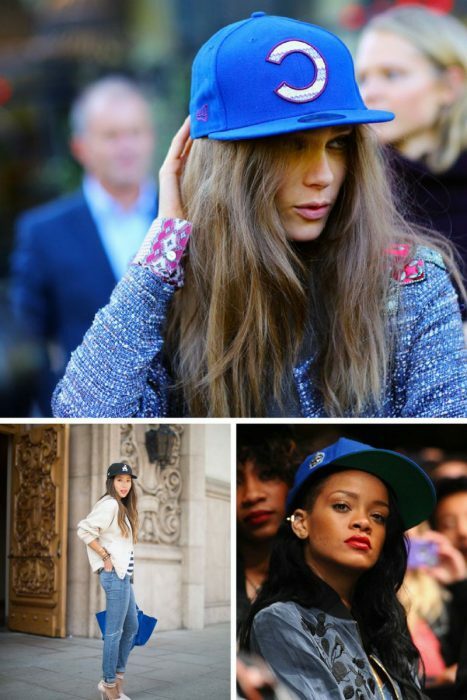 Baseball hats can be seen everywhere right now, that’s why I decided to write about this accessory and see where and with what to wear it. The thing about baseball hats is the boyfriend’s spirit that makes its wearer look more sophisticated and mannish. It’s all about borrowing clothes and accessories from our boyfriends. Think of T-shirts, blazers, sweatshirts, big sweaters, jeans, etc. I am not saying all these pieces should be worn in one look, you are free to add only one of these clothing staples to create a coveted look. 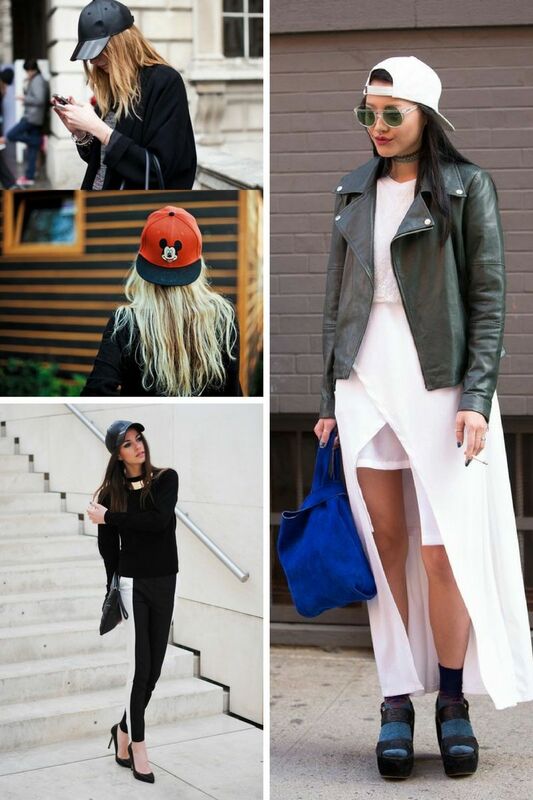 It’s not how many boyfriend style pieces you wear, it’s all about how you wear it. Anyway, we are here to talk about baseball hats. This is the unboring accessory that updates completely any look, no matter if you wear a fancy dress or urban essentials. 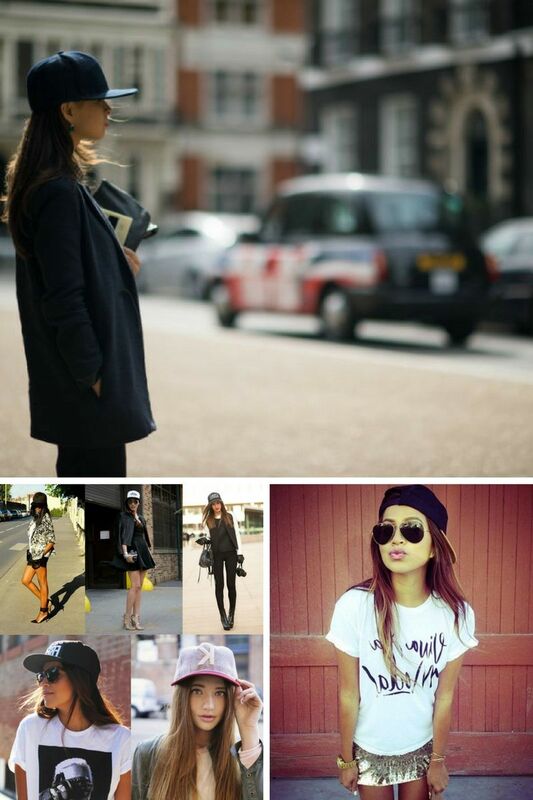 A baseball hat is one of my favorite men’s accessories that makes me look different but in a good way. 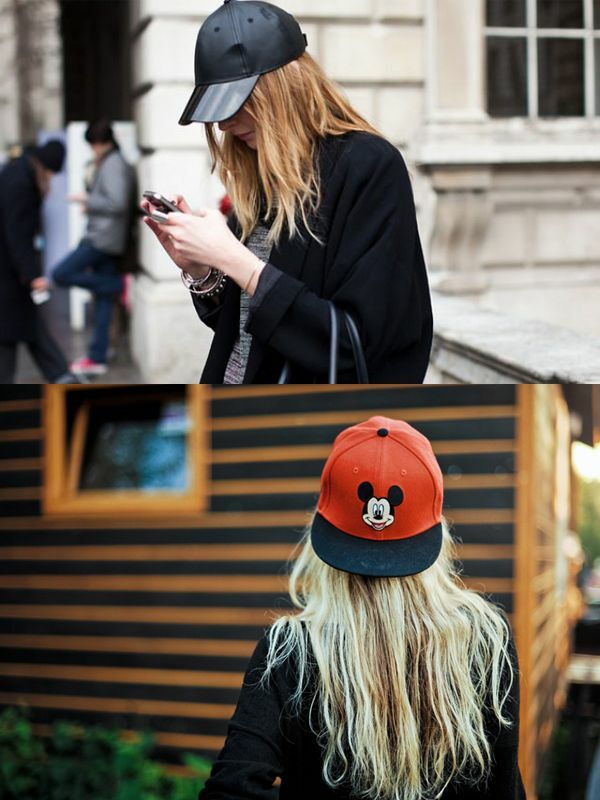 For some of you, this hat might seem too casual, but I promise, in this collection I will show you amazing ways how to make it look posh, glamour, classy, sophisticated, casual or dressy depending on what clothes you are about to wear with it. 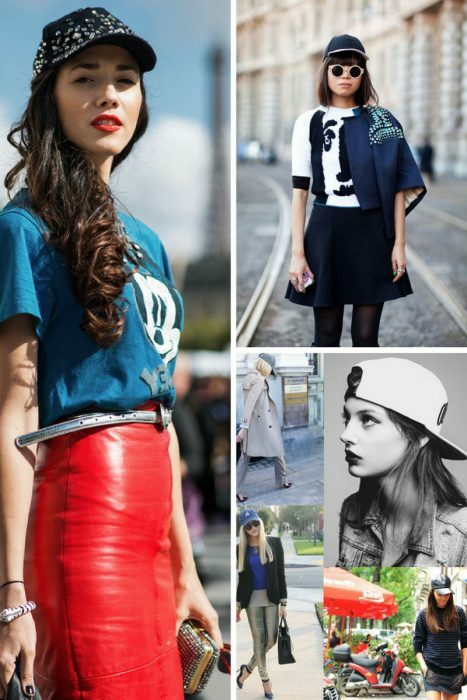 We are women who are free to play around with fashion in different ways we want and like. In other words saying, you can end up wearing it anywhere you like, starting from work to going outs. 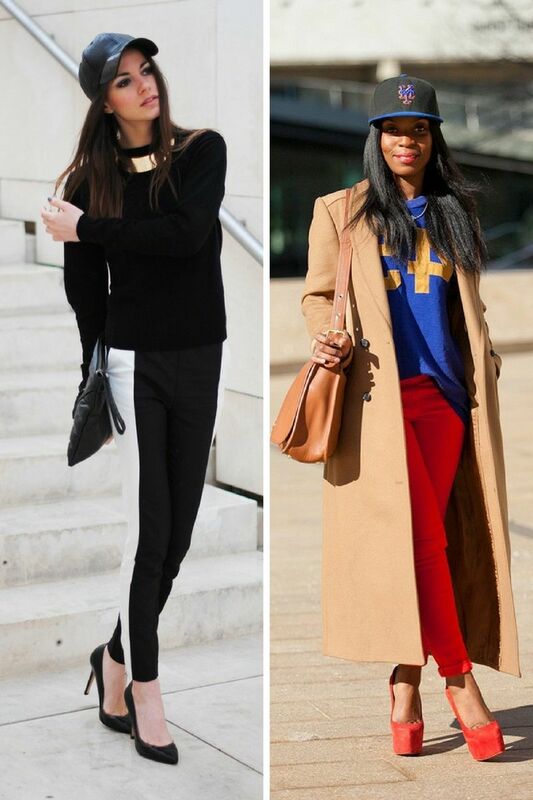 Yes, you can use it with your casual separates, as well as with heels and skirts and dresses. 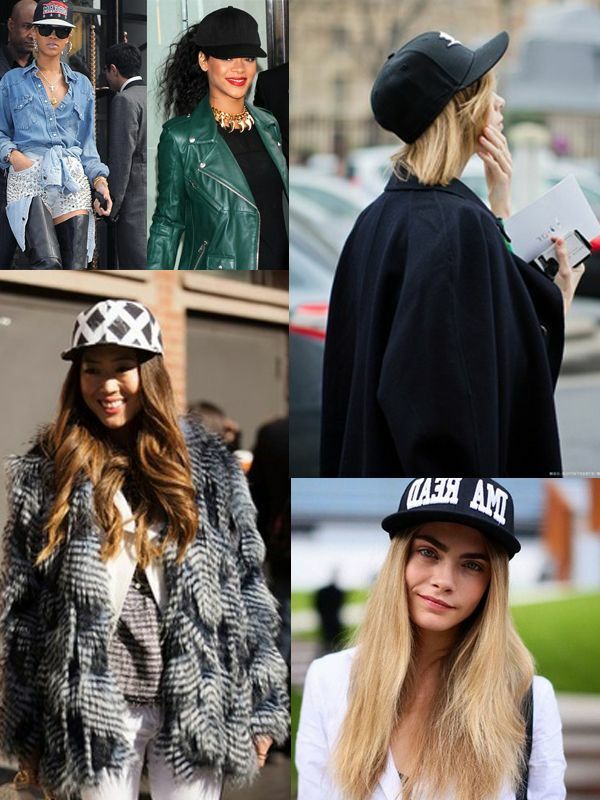 I love this hat for that special uber cool vibe that makes women look special and edgy. Plus, this is a perfect savior for bad hair days. 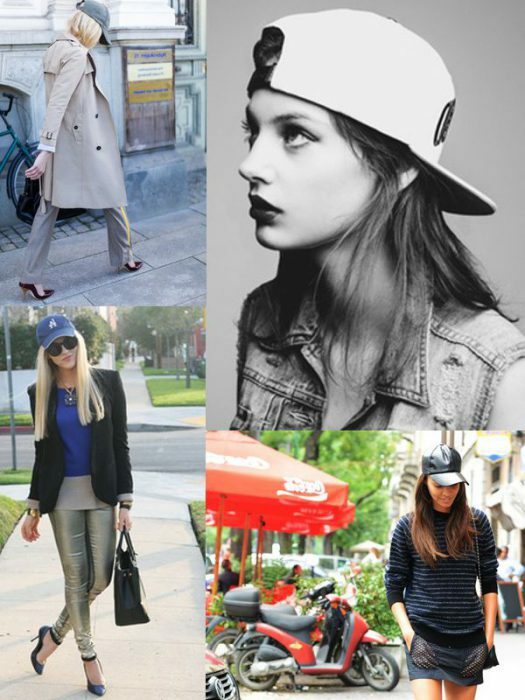 Fashion offers plenty of baseball hat styles, but are they all in? My answer is yes, but this is a very personal thing, as you have to find the right one for you. It can be a statement, funky design made of leather, embellished with studs, or colored and printed one. Choose the one that makes you feel confident. Make sure this accessory can balance your outfit, no matter if it’s a glam or polished looking. In real life, everything is pretty easy. 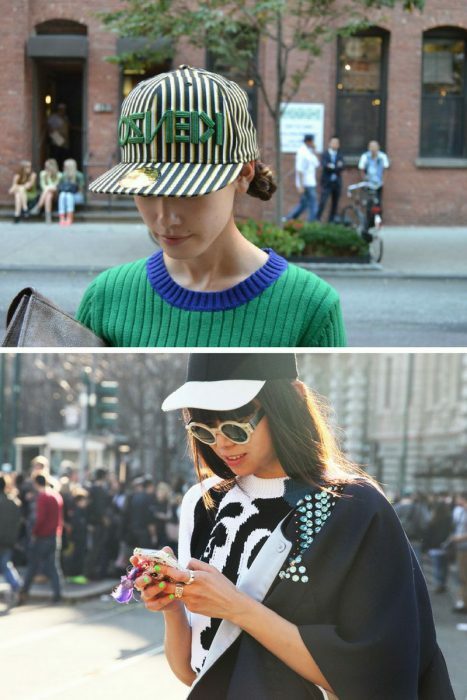 You can mix any baseball hat with any outfit, just find the right balance. If there are any looks that should be worn without a baseball hat, then it’s a cocktail dress, glamour outfit for red carpet events and posh dinners.